Help us love our Planet! We sure do use a lot of packaging sometimes, but it is necessary to make sure your photographic work gets to you in one piece! But after a while, these tubes, cardboard and plastic bags end up cluttering your studio and in the Recycle Bin. What to do?? Well, here at Bond, we love the planet! We are always happy to Take Back packing materials! Feel free to drop off any old packing materials, print bags, bubble wrap, card, boxes, tubes – anything! We will be happy to reuse and recycle these! Did you know – you can order any size Canvas on OnDemand Pro? It’s very easy and you are able to see exactly how your image wrap will look! First, select the type of canvas you need. If you need a custom size, simply select “Other Size”. You can choose from our Photographic Canvas, which is actually created using a photographic print, the emulsion is then peeled away and heat pressed into the canvas. 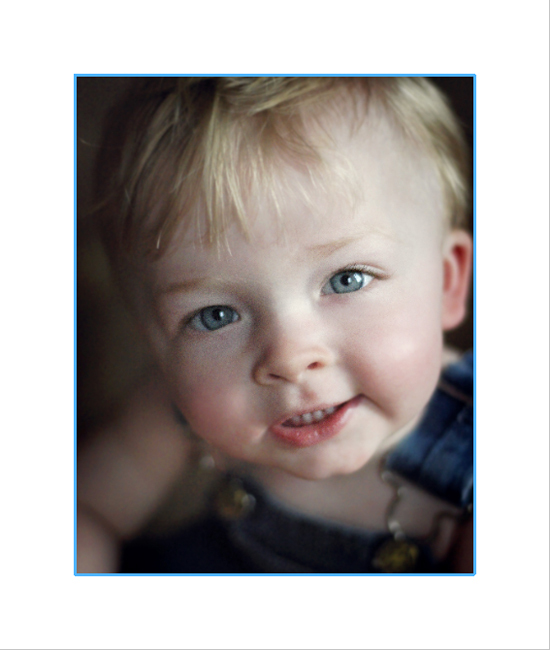 Otherwise we offer a high end Inkjet Canvas on either Vivid White Canvas or Warm White. Our Vivid Canvas material is a bright white canvas that looks fantastic with high-key and colourful images. Our Warm White is a natural canvas with some of the actual fibres still visible creating a unique effect. The warmth adds a nice tone to the image; it’s especially effective with black and white and darker images. You’ll also have an option on most sizes of a THIN or THICK stretcher. The THIN Stretcher is 2 inches deep and the THICK is 3 inches deep. 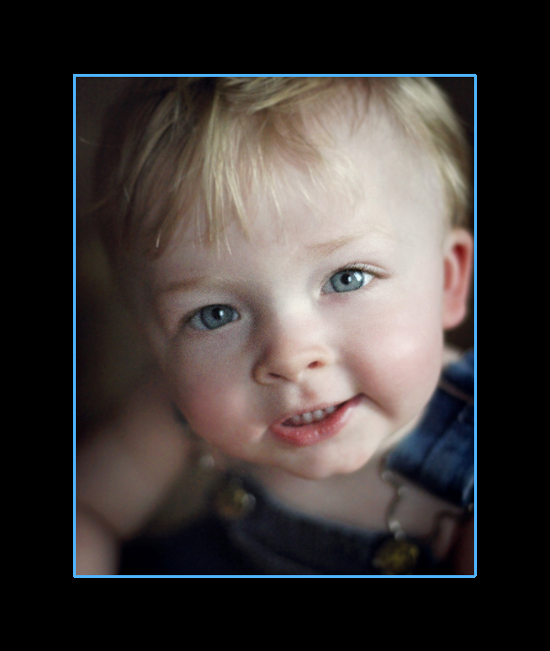 If you choose a Photographic Canvas, your stretcher options are listed under “Options”. OnDemand Pro gives you the option of having BLACK, WHITE, or IMAGE WRAP edges. If you need any custom wraps or colours, you can create this easily in Photoshop. 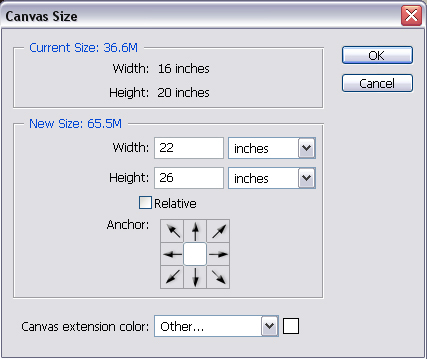 In Photoshop, once your image is cropped to the required size at 200 dpi, use CANVAS SIZE to add the extra canvas (Image > Canvas Size). If you are ordering a THICK Stretcher for your canvas, add 3 inches on all sides. For example, a 16×20 canvas with a thick stretcher will actually need to be 22×26. 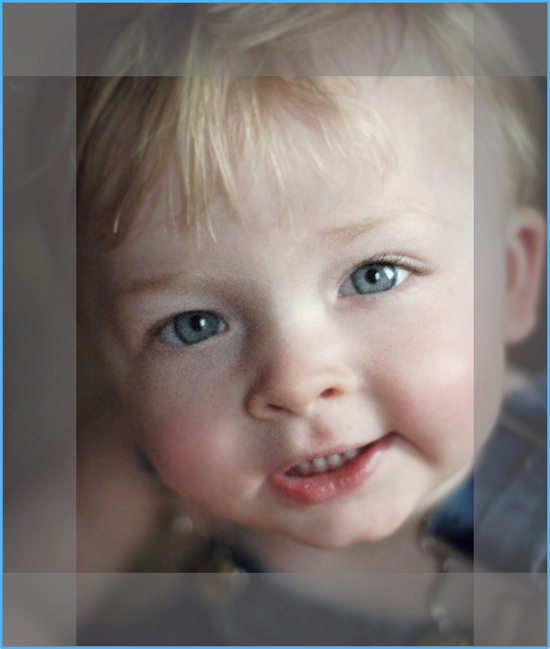 Select a specific colour or creating extra background for the image wraps. Flatten the image and save for sending. With OnDemand Pro, you are able to see just how the canvas wraps will work! Sometimes Image Wraps do not work. Check the OnDemand Pro Preview to check! Please do not hesitate to call Customer Service if you have any questions! We’re here to help!